While often neglected by astronomers because of its blinding light, the full Moon is always a wonderful sight. Above is a two-frames mosaic, coming from two single shots, remotely taken with the PlaneWave 17 robotic unit part of the Virtual Telescope. 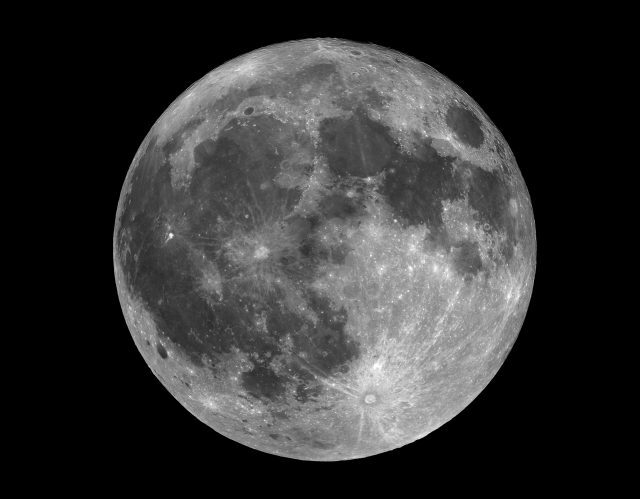 Because of the very bright Moon, a S iII filter was used to strongly reduce its luminosity.